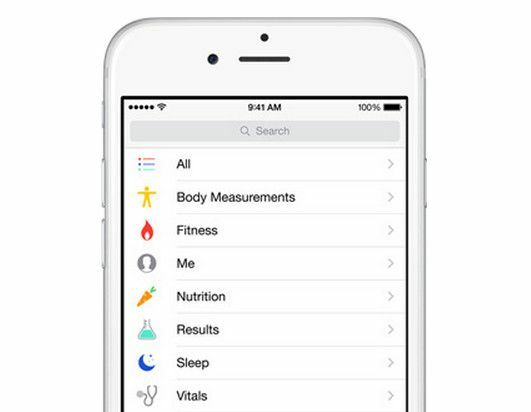 Earlier this year Apple announced HealthKit, a new API exclusive to iOS 8 that lets iPhone developers access health and exercise data. Though it looked slick, the company remained mum about its obvious, absent partner; the Apple Watch. Now the Watch has been revealed along with details about its extensive functionality, lifting the veil from HealthKit’s full potential. Here’s how Apple’s new watch will turn your iPhone into a revolutionary device for managing your health and fitness. Update: Apple has announced that due to a bug, third party apps won’t be able to take advantage of HealthKit until the end of the month. Technically that shouldn’t stop iOS 8 from tracking your activity, you just might have to wait a bit longer to use the data. HealthKit is an application programming interface (API) built to help iPhone developers access and manage the user’s health and fitness. This takes the form of data like heart rate, exercise, and level of activity. Your iPhone, when paired with an Apple Watch, will be able to monitor you with surprising detail. HealthKit itself is not a sensor or an app. It is instead a way for developers to access the information it stores and a set of guidelines dictating how that information can be used. Apple has stated, for example, that HealthKit information cannot be used for advertising or data-mining, and cannot be shared with third parties unless user consent is given. Apps that don’t follow the guidelines, either intentionally or through poor implementation of the HealthKit API, will be rejected from the App Store. Third-party developers are also barred from storing HealthKit data in the cloud. While this may restrict some functionality, it will help keep data secure. Apple will let your iPhone and Watch share data over a local network, providing connectivity similar to iCloud. Where Does HealthKit’s Data Come From? The data stored by the new API can come from a variety of sources. You’ll need to enter a few items manually using the Health app or third-party apps that have access to the API. This includes your medical conditions (if any), your blood type and your primary care physician. Your iPhone can pick up some information automatically, if permitted. Let’s say you decide to take a jog around a local park. Your phone’s GPS can be used to monitor your pace and route, which in turn can be used to calculate the calories you’ve burned, the time you spent exercising and more.